Passionate about all things related to travel and the hospitality industry. Lydia Gregory is the founder of Cyberscribe-Inc, an agency based in Arizona which offers expertise in bilingual (English/Spanish) writing, editing, copywriting, translating, marketing and public relations consulting for consumer and industry publications in the tourism, travel, hospitality, beauty and fashion industries. 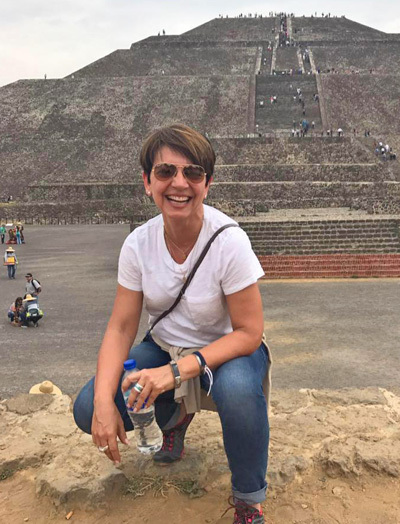 She is also a founding member and regular contributor for www.MexicoPremiere.com, a highly rated source for current Mexico news and information. Co-host of a popular TV program, REVISTA PM, focusing on fashion, gastronomy and tourism on WSJN – Canal 24, San Juan, Puerto Rico. Lydia has a degree in Advertising from the University of Texas at Austin and graduated from the Agnes Haury Institute for Court Interpretation in Tucson, Arizona. Copyright © 2017 NovaVision Marketing. All rights reserved.